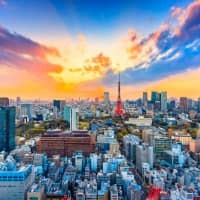 Is Japan's sun still rising? At a time of rising populism and authoritarianism around the world, Japan stands out as a relative island of social and economic stability. Resistance to antibiotics, caused in large part by their overuse and misuse, is already well established and recognized by specialists as a problem — but it doesn't yet frighten the public. It should. The former chairman of Goldman Sachs Asset Management believes that Nigeria could become one of the top 15 economies in the world by 2050. China's eagerly anticipated "hard landing" hasn't happened yet, and recent indicators make one wonder if it ever will. Maybe China's skeptics should be viewed more skeptically. Even with unspectacular growth of a little more than 6 percent a year, India's economy could become about as big as America's economy by 2050.